Modifications are taking place at SIN and the entry and exit dates are based on SIN time (GMT + 8 hrs). Comfort + installation was done at ATL on all the 7HD>7CD conversions, and on 7106 (7HB>7CB). The remaining 9 LRs will have the C + cabins installed at SIN. N705DN 7105 - Entered Feb 25 2018; finished March 28 2019. C+. N707DN 7107 - Entered March 23 2019; finished April 23 2019. C+. I really enjoyed the old NW WBC lounges back when they flew DC 10. Now the crap they installed when got the A330s in early 2000s was awful. However loved the lounge. Feel it was better than what a number of airlines give in J today. I actually think that the 767/777 old recliners were more comfortable as chairs (obviously not as beds) than the current lay flat beds in chair position. This is primarily because the cushions were much better--they actually felt really luxurious to sink into, like a really comfy couch. Xeno and thunderlounge like this. So I'm looking to book ATL to Munich using miles in D1 for next June as soon as availability pops up. If I book D1 now and the retrofit with fewer D1 seats later do I still get my D1 seat? ATL-MUC has never been serviced by a 777 as far as I can tell, so no worries there. It's gone back a forth a few times during different seasons. Two winters ago I flew on a 333 MUC-ATL. It's also been a 763 several times. 764 is likely the most prominent. It looks like N863DA re-enterd revenue service last night on ATL-LAX and is about to do LAX-PVG. I wonder how DL handled the D1 downgrades if necessary? 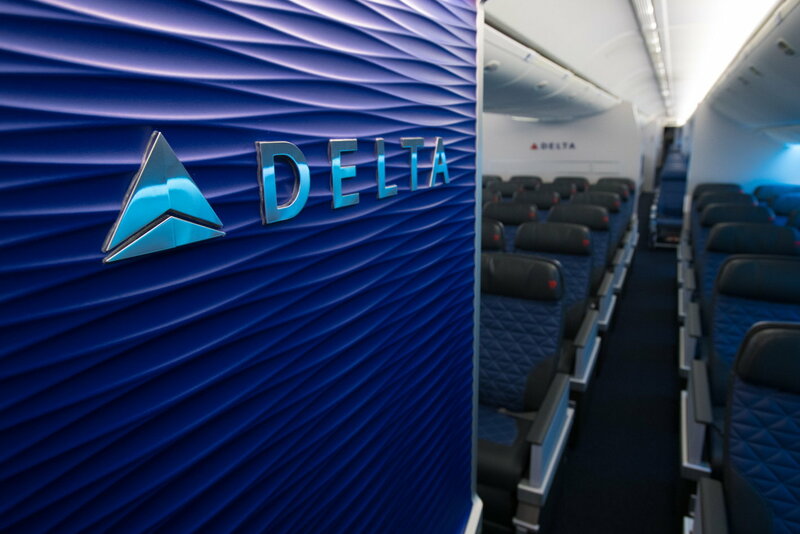 Do you mean the diamond pattern on the bulkhead wall? That's been on every retrofit of DL's since at least the A330 retrofit, and on all new a/c in recent years. Are you sure you flew the A350? If you would have said the suites aren’t much better than A330 then you would have a little credibility, but comparing them to the old cramped 777?? You must be saying this in jest? not joking. What I like about the 777 is the leg and knee space. All times are GMT -6. The time now is 6:36 pm.